The Marquette Golden Eagles (26-7) watched a 13-point third quarter lead slip away, falling to the DePaul Blue Demons 74-73 in the women’s Big East Championship game on Tuesday night in Chicago. Chante Stonewall poured in 28 points, including the three-point play with 5.4 seconds left to win it for DePaul. It was the only time that DePaul led in the final three-quarters of the game. Natisha Hiedeman led the Golden Eagles with 18 points. DePaul secures the automatic bid into the NCAA Tournament. 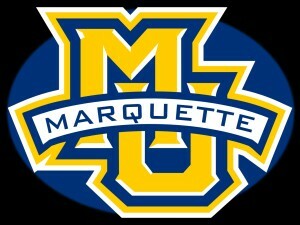 Marquette will settle for an at-large bid when the pairings are announced on Monday. Big East Player of the Year, Natisha Hiedeman, scored 20 points and grabbed 13 rebounds to lead the Marquette Golden Eagles to a 88-57 win over 9th-seeded St. John’s in the conference tournament on Sunday. Allazia Blockton added 17 points, Amani Wilborn 13 and Lauren Van Kleuen 11 for the Golden Eagles. Marquette (25-6) will face Georgetown (16-14) in the semifinals at 3 p.m. on Monday afternoon. The Golden Eagles shot 50 percent for the game with 8 three-pointers. The two teams had split their two games during the regular season. Natisha Hiedeman poured in 22 points and Allazia Blockton added 19 to lead the Marquette Golden Eagles to their 12th straight victory, 93-55 over Villanova on Sunday. The 7th ranked Golden Eagles (21-3, 12-0 Big East) used an 18-4 run in the first quarter to break the game open for good. They led 25-12 after one-quarter and 46-21 at halftime. Marquette hasn’t lost since falling to 2nd ranked Notre Dame 87-63 back on December 22nd. After a week off, the Wisconsin Badgers return to action in Champaign, falling to Illinois 78-68. The game featured eight ties and 10 lead changes. The Badgers return home to host Michigan State on Thursday night. 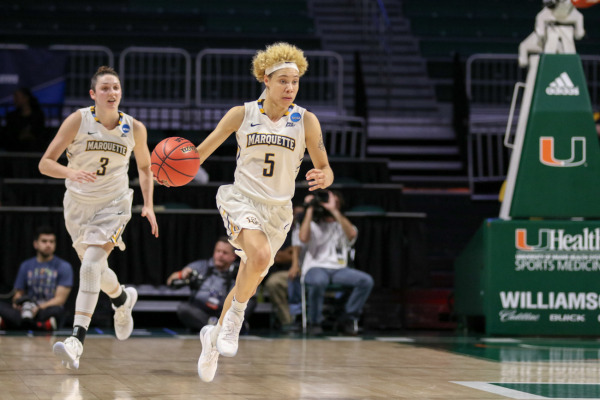 Natisha Hiedeman – Photo Courtesy of Marquette Athletics. Fifth seeded Marquette fell victim to college basketball’s famous 12-5 upset, losing to Quinnipiac 68-65 in the opening round of the Women’s NCAA Tournament in Coral Gables, Florida on Saturday night. Natisha Hiedeman’s buzzer-beating three-pointer to force overtime was off the mark, ending the Golden Eagles season at 25-8. Erika Davenport scored a game-high 21 points for the Golden Eagles. Allazia Blockton added 14 and Hiedeman 13. Jennifer Fay had 20 points to lead the Bobcats. Marquette never led in the contest and trailed by as many as 19 points. Quinnipiac (28-6) shot 52.8% from the field for the game and moves on to round two with the victory. 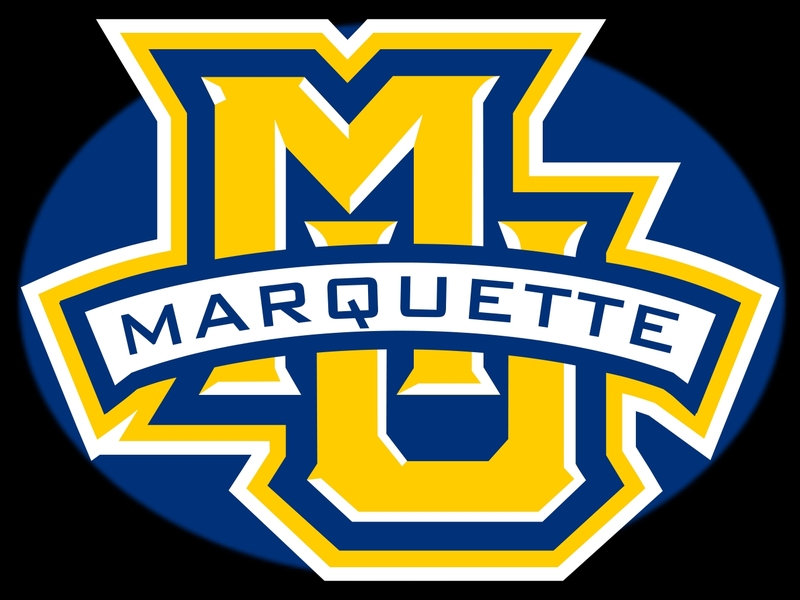 The Marquette Golden Eagles captured the Big East Tournament championship on Tuesday night, knocking off DePaul 86-78 at the Al McGuire Center. Marquette (25-7) won the Big East Tournament title for the first time in school history. The last time the golden Eagles won its conference tournament title was in 1995, when they played in the Great Midwest Conference. Marquette locked up their 15th postseason appearance since the program began in 1975-76. Marquette guard Natisha Niedeman poured in 28 points and Amani Wilborn added 20 points in the win. The Marquette women’s basketball team dropped its second straight Big East contest, falling to Villanova 81-60 in Philadelphia on Sunday. The Wildcats scored the games first 17 points and led by seven at halftime. Villanova then pulled away in the second half as Alex Louin scored a career-high 28 points in the contest. The Wildcats shot 57-percent from the field for the game, while holding the Golden Eagles to 44-percent. Natisha Hiedeman scored 15 to lead Marquette, which dropped to six-and-seven in the Big East Conference and eleven-and-13 overall.